While summer is still in “high gear” for most of New England, many families are starting to turn their thoughts to back-to-school shopping. This includes high school students who may be preparing to get their Massachusetts driver’s license and college kids getting ready to head off to campus in the fall. Whatever your driving situation at home, now is a great time to meet with your insurance agent in Fall River to discuss your current auto insurance policy. Lots of things can change with your coverage options as your family grows and expands. Coverage requirements for a car used out-of-state at a university may be different than vehicles kept at home. Paul Sullivan Insurance Agency can help you make sure that you have the best Fall River auto insurance coverage based on your needs and budget. Whether you have brand new cars requiring full coverage or classic vehicles that are kept in storage for much of the year, we can help you find the Fall River car insurance policy that fits your lifestyle. Our agents are highly trained and experienced, working with multiple Massachusetts auto insurance companies as an independent insurance agency. We can help you find the best coverage, price, and protection for your investment. There are certain times when it pays to increase coverage for your auto insurance policy. Unfortunately, too many vehicle owners only look at the “bottom line” of what they will be paying each month without considering what that coverage buys them. When you need to cut costs, look at your cable or satellite company, not your Fall River auto insurance provider. Too many people have cut coverage on their Fall River car insurance policy, leaving them without adequate protection when they get involved in an accident. The amount of money you save does not add up when you think about how much that extra coverage would protect you when you need it the most. Liability insurance is a great example of the importance of a good auto insurance policy. Liability coverage protects you and your financial assets, should you be at-fault in a major automobile accident. The few dollars you spend each month to increase this type of coverage on your Fall River auto insurance premium can make sure that your home, family, and finances are protected. Liability coverage protects you in two ways, including both bodily injury liability and property damage liability. Bodily injury protects you if you’re the one at-fault for an accident that results in physical injuries or damage to the other driver, as well as passengers, pedestrians, bicyclists, and other motorists. It pays for medical expenses, funeral costs, loss of income, and any type of pain and suffering. Property damage covers costs to repair or replace someone’s property after an accident, such as their vehicle, yard, fence, or home. Liability insurance can also be used to protect you if you are sued after an accident. Your insurance agent in Fall River can provide you with information from reputable Massachusetts auto insurance companies to ensure that you have at least the minimum amount of liability insurance. Industry experts suggest that you should exceed the state required minimum and have at least $100,000 of bodily injury liability protection “per person” with $300,000 for bodily injury per accident and another $100,000 for property damage. This is known as a 100/300/100 policy. However, depending on the type of vehicle that you drive, the type of driving that you do, and any other risks that might be involved, you may want to increase your auto insurance policy even further. When you contact Sullivan Insurance Agency for a free auto insurance quote, we can provide detailed costs associated with increasing your liability at various levels, depending on your needs. In fact, we can even provide you with information on an umbrella policy that can provide you with anywhere between $1-5 million of coverage. Research shows that many personal injury liability awards that are handed down by a jury exceed a million dollars. The good news is that the cost for an umbrella policy from Massachusetts auto insurance companies is very affordable, costing between $150-300 per year in addition to basic liability coverage. Contact Paul Sullivan Insurance to get a FREE quote on a Fall River car insurance policy. Whether you just purchased a new car or if you are looking to switch companies, we can offer you the very best in Fall River auto insurance with just one phone call. As an independent insurance agency, we work with multiple Massachusetts auto insurance companies to get our clients the coverage and pricing they desire. 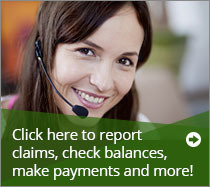 Call today at 508-678-9611 to speak with an insurance agent in Fall River at our local office.